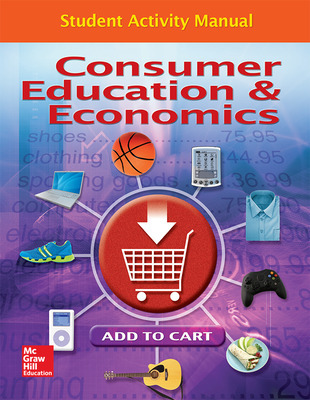 Consumer Education & Economics is a contemporary consumer education program that covers all financial literacy basics including understanding our economy, managing family and personal finances, understanding and managing credit, and making well-informed purchasing decisions. Skill development focuses on critical thinking, decision-making, problem solving, and resource management. 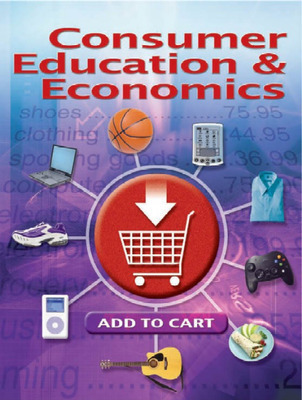 Economic Impact & Issues features explore how events impact the economy with issues such as the cost of college, consumer confidence, saving for retirement, and insuring against disaster. Savvy Consumer features guide students in applying their knowledge as they analyze actual situations. Contemporary content includes changes and developments in health care systems, consumer laws, and the continued growth of Internet resources. Dollars and Sense features provide practical tips to help students make the most of their money. Reading with Purpose features build reading skills. Students learn to define vocabulary, visualize ideas, paraphrase chapter content, and create outlines. InfoSource features help students develop essential consumer skills of finding and utilizing print and online resources for reliable information. This product is for educators. Please login to place an order. This product will be available on 09/22/2015.